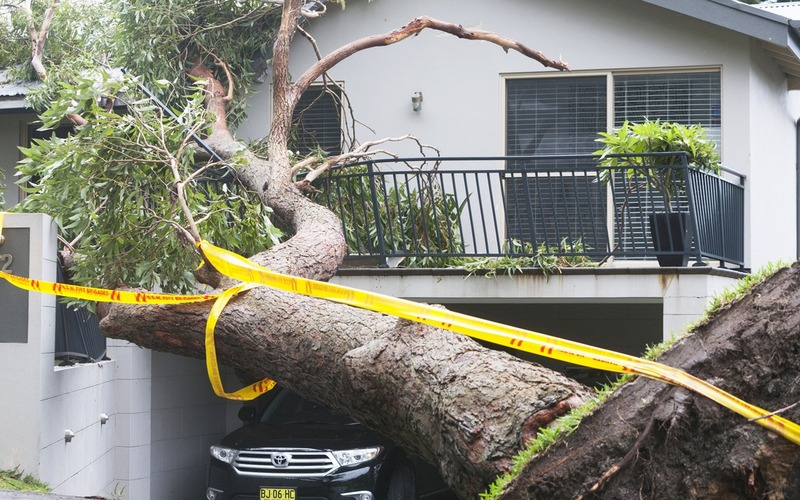 Our EMERGENCY SERVICE is available for critical situations 24/7, feel free to call 0403 973 748 at ANY TIME, DAY or Night if a critical tree failure presents an imminent hazard to your property. 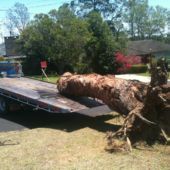 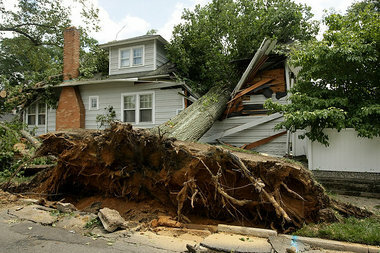 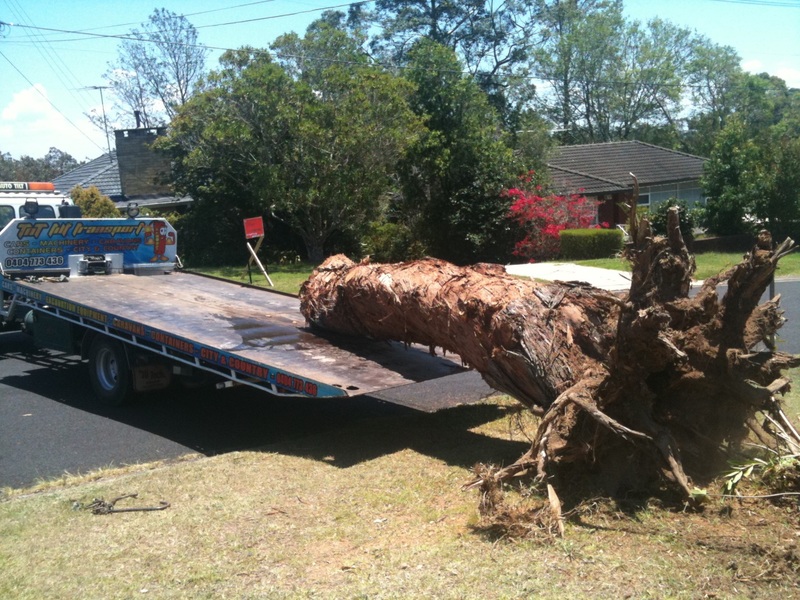 The combination of strong winds and soaked ground can often cause trees to fail either completely or partially. 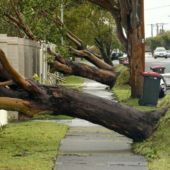 Entire trees can snap under the shear loading forces exerted on their structure during extreme weather periods-some tree species such as Liquid Ambers or Lemon Scented gums are repeat offenders for these types of failures. 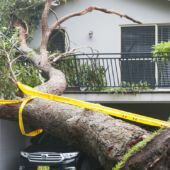 The failure may be the result of a variety or combination of factors such as the presence of an existing defect, the limb of a tree may be carrying excessive weight of foliage/large number of smaller branches or a high wind resistance factor caused by dense foliage. 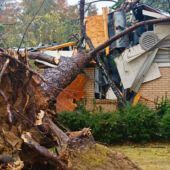 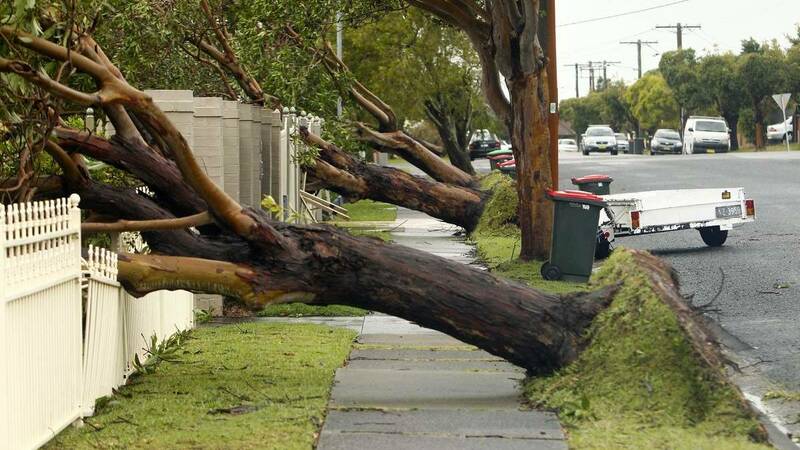 Any of these combined with high wind periods may cause a tree limb or the entire tree to experience a catastrophic failure- by employing regular tree maintenance works a customer will drastically reduce their chances of ever requiring storm damage management. 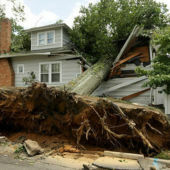 Trees without structural defects or wind loading factors may fail by being uprooted if the ground becomes so sodden that the tree roots can no longer maintain their anchoring properties. 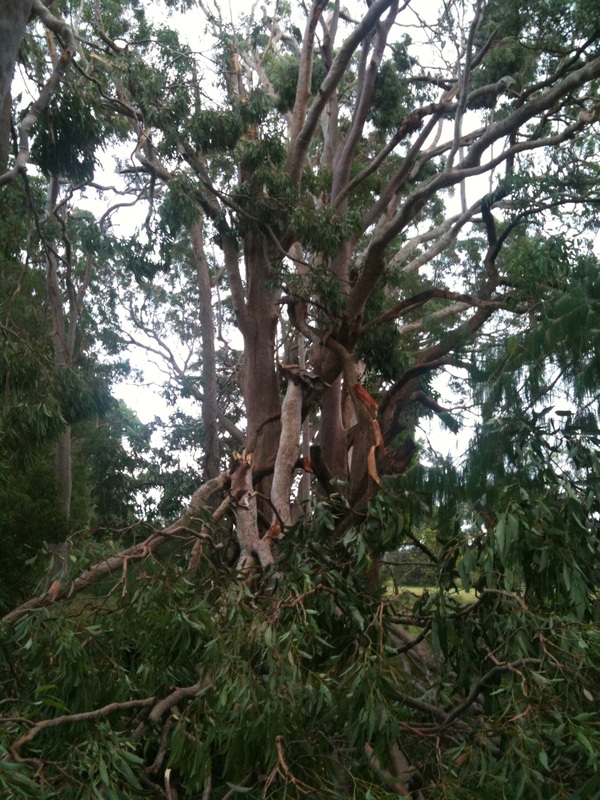 A storm damaged tree may present a high degree of technical difficulty for tree removal works or to “make safe” particularly if the tree has not completely failed (toppled right over). 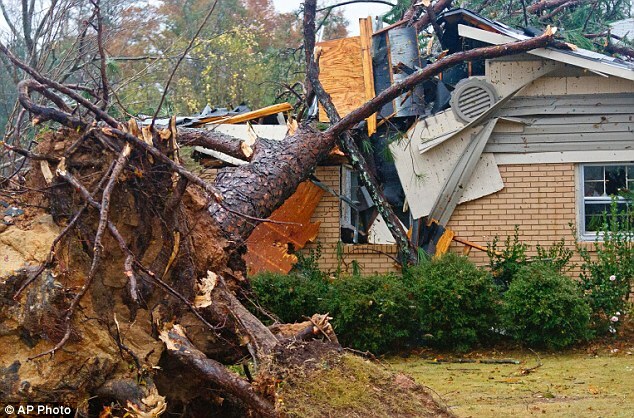 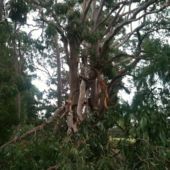 Feel free to contact Tidy Tree Work 24/7 if you are faced with an imminent threat from a storm damaged tree in Sydney or require storm damage management in Sydney.